The first stop on the Beyond Neutral book tour is Martingale's Stitch This! blog. 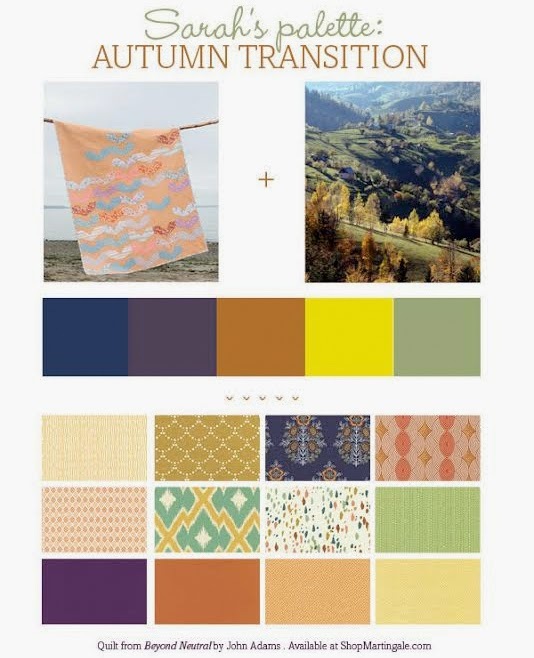 There, you will see how graphic designer extraordinaire Sarah tackled the Beyond Neutral Challenge and created a beautiful quilt palette. There's also a chance to win a free eBook of Beyond Neutral, so check it out! Psst ... my giveaway for an eBook AND a fabric bundle is still open on my kick-off post. To get the perfect look, why not visit a dance store for a broader selection? Fashionistas "in the know" are always looking for high quality chanel replica and a competitive price. The only problem is that many dance accessories charge a hefty price for high end products. You don’t have to miss out on this enduring fashion trend or spend hundreds of dollars on a quality leotard. Instead, search the internet for an online hermes replica retailer. The best online stores offer the same high end products for a considerably cheap. Why? No cost to do business means that the retailer can decrease prices for the same high end items purchased at fancy dance accessories. Plus online replica handbags a more extensive brand of shoes, tutus, leotards and accessories – they simply have an overabundance storage place space to hold deeper stock. Because of many replica dior handbags vfactors, women are more prone to weight gain than men but being overweight and having a full –figure is not an issue in getting the best prade replica fashion statement nowadays since there are a lot of ways of being fashionable even with extra figure.